The country telephone code for Ukraine is 380. 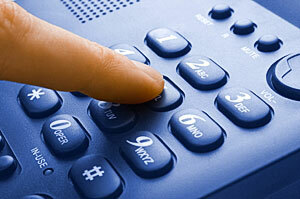 Ukraine area phone codes have two digits, and the subscriber phone numbers seven digits. For mobile (cell) phone numbers in Ukraine, you have to use a network code instead of an area phone code; these are 39, 50, 63, 66, 67, 68, 9x, so you’ll need to know this as well as the number. Ukraine phone numbers and telephone codes are switching to a closed system, i.e. one 9 (possibly 10) digit number from everywhere, over the next two years, but at the moment within Ukraine you dial 0, wait for a dial tone (optional on digital exchanges), and then dial the area phone code followed by the local number. If you’re calling within the local area you just dial the number. A Ukraine telephone directory currently means a business directory; there aren’t any White Pages phone books showing the residential numbers in Ukraine at present. http://www.yellowpages.ua/en/uk/ Yellow pages for the Ukraine, in English (or choose from drop-down flag menu on top right). Select an area from the drop-down list at the top, or just leave it on "All Ukraine". You can get details and a location map for each entry. http://business-ua.com/index.phtml?l=en Detailed business directory (yellow pages type) for Ukraine; search in database of companies, products, services. English version (select top left if necessary). http://www.ukraine.org/www.ukrainet.lviv.ua/yellow/pages.htm Internet directory based on submissions. Can be downloaded to use off line. In English and Ukrainian.